So I guess that the third time is the charm. 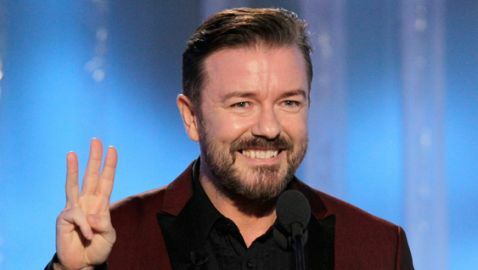 Sunday night, Ricky Gervais hosted the Golden Globes for the third straight year. 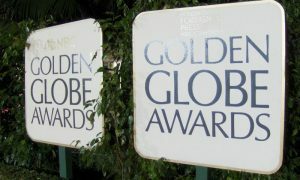 It was the 69th annual Golden Globe Awards. Gervais managed to drop an ‘f-bomb’ on Sunday night, late in the show, as he introduced Antonio Banderas and Salma Hayek, who were coming on stage to present an award. The word was bleeped out though. After the dropping of the ‘f-bomb,’ Gervais appeared on stage with a wine glass in his hand. 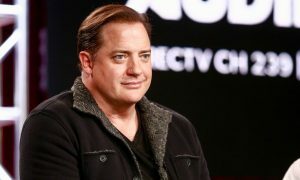 He proclaimed that it was excellent to have a job that permits you to drink and say whatever you please and then still receive a paycheck. The monologue for Gervais did not shock and awe as in the previous two years but it included a couple of barbs. 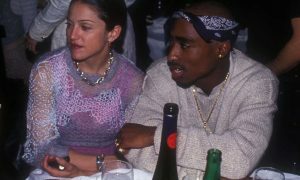 The only person who dared to challenge the outspoken host was Madonna. Gervais described Madonna, who was presenting, as “just like a virgin,” before he started coughing. One of the cameras caught Gervais funnily running off the stage.